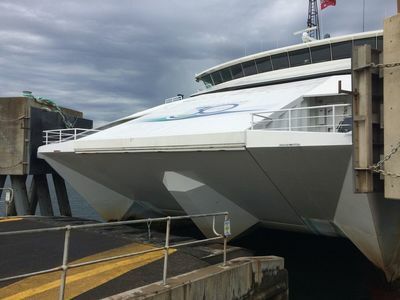 Up until the last school holidays, we've only ever travelled on Searoad Ferries to get from A to B without really considering the journey as a recreational activity in its own right. E.g. Sorrento to Queenscliff or visa versa, travelling onward to the Great Ocean Road and back home again. We've always thought foot passengers on the popular Port Phillip Bay ferry route would be reserved for commuters. Not so, as we recently found out over the school holiday break. 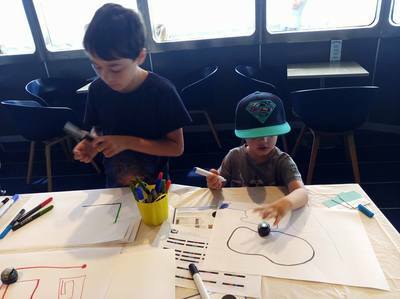 We were contacted by Searoad Ferries to share their school holiday ferry fun program. By that, I mean kid friendly activities.. on board the ferry. From repurposed craft activities to dolphin discovery workshops, balloon twisting to robotics, selected days and sail times introduced the aforementioned activities to kids, all inclusive of ferry tickets. Testing out one of the activities for ourselves, we left our car in the ferry car park in Sorrento and booked onto the correct crossing time to participate in the Robot Workshop organised by The Robot Lady. Activities take place in a separate room toward the bow of the ferry, on tables set up for children. Our kids tried their little hands at Ozobots; pocket-sized coding robots that move along pen trails on a piece of paper. 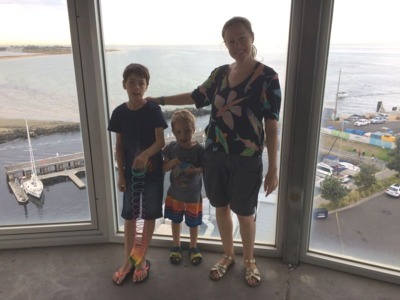 The actual crossing time between Sorrento and Queenscliff is 40 minutes, so naturally the trip went very quickly and both boys were a little disappointed to embark! If we wanted to, we would've caught the ferry hosting the same activity going back again, but we stopped in Queenscliff for a little while. 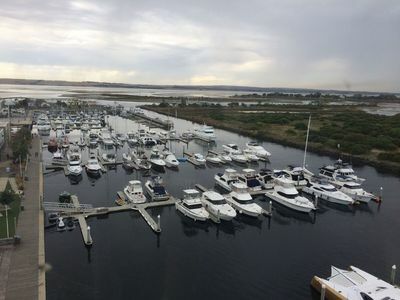 What is there to do in Queenscliff? We didn't venture too far with little legs in tow, so stayed put in the Harbour. That said, there are some excellent kid-friendly eateries, including Roro Cafe, right next to the ferry terminal. That's where we chose to eat. 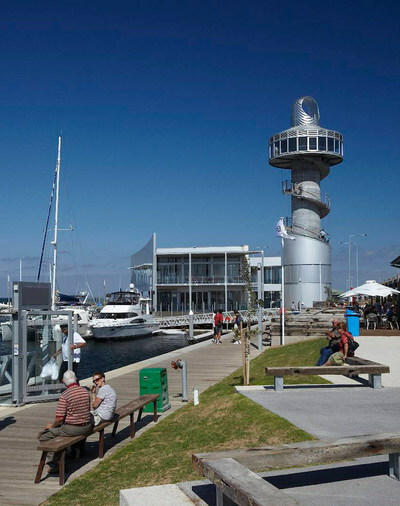 If you chose the 'Sail to Lunch' package, you get two courses at Roro cafe, including wine and return ferry for $39 (adults) March - Nov, or $47 Dec - Feb. Bargain. 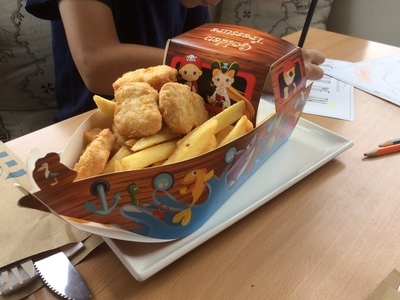 Chicken and chips served in a little boat in Roro Cafe, Queenscliff! You could walk to the Marine and Freshwater Discovery Centre in Queenscliff, although you're looking at a 45 minute walk. Alternatively, the has 360 degree views of Queenscliff and its surrounds, plus it's only a hop skip & jump from the terminal. Bonus points? It's free to enjoy. By then, our boys were done and we caught the next ferry back to Sorrento, with our fingers crossed for a dolphin sighting. No dolphins were seen, but it didn't matter, we arrived back home happy albeit a little tired from the full day out at sea! Keep a look out for the next lot of school holiday activities happening on Searoad Ferries here and book online in advance. We'd do it all over again in a heartbeat. Tickets start from $8 child / $12 adult each way. All activities are inclusive of your ferry crossing ticket.